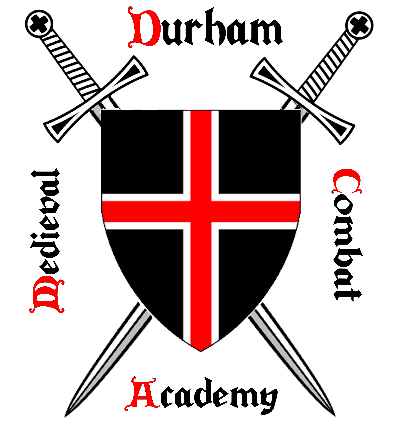 Two really nice web sites about medieval weapons and armour can be found at www.MedievalWarfare.Info and MyArmoury.com. The term Longsword is a modern term for a sword that was primarily used two handed but was light enough to be gripped in one hand for some techniques. For more information on longswords, check their Wikipedia entry. On closer inspection, it can be seen that some longswords have a very shallow profile taper and finish in a wider point (e.g. Type XIIa, XIII and XIIIa). Other types have a very pronounced profile taper and the blade terminates in a very acute point (e.g. Type XVa, XVIIIb, XVIIId). Longswords with a wider point are not perfect for thrusting, especially if the opponent wears any piece of armour, even a padded arming jacket would probably provide suitable protection against a thrust from these blade types. These swords are better designed for cutting but their efficiency against the simplest metal armour such as a maille hauberk is severely limited. Improvement in armour design made it necessary to develop swords that could pierce through armour, for example through rings of maille hauberks or through gaps in plate armour. Improvement in blade metallurgy made it possible to develop blades with acute but strong points. Swords of type XVa, XVIIIb and XVIIId are later designs aiming to improve thrusting ability and defeat armour. Indeed, thrusting with a longsword is a key technique in treatises. It means that for the purpose of HEMA, longswords inspired by the types XVa, XVIII are more suited. They are based on blunt edges and rounded points but their profile taper is representative of these sword types. For more thoughts on HEMA techniques, see here. One-handed swords reveived the same level of attention as longswords from E. Oakeshott and we refer to that section for links on the typology. To address a gap in sword classification (8th to 11th century), Alfred Geibig has also generated a classification that can be found on MyArmoury.com. This is the Oakeshott analysis of one of David Tétard's one-handed swords, used for re-enactment with Dawn of Chivalry (13th century) but that can also be used in HEMA (sword and buckler): here. 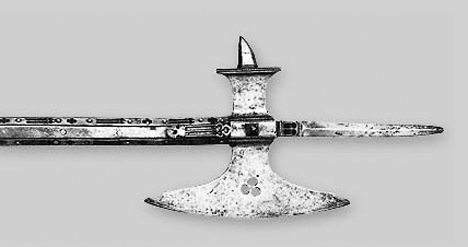 "Poleaxe" is the medieval name used by the English for the long-handled footman's warhammer, regardless of whether it actually had an axe head or not. 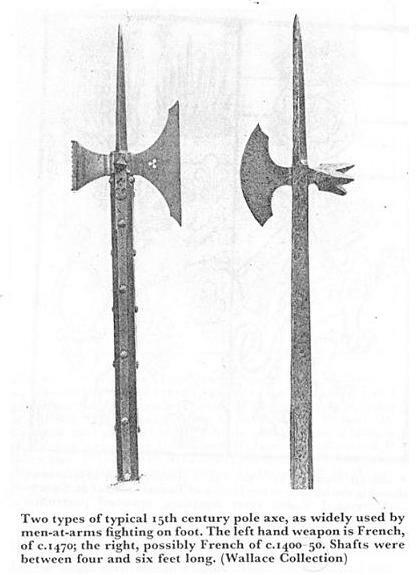 These same weapons could be called bec-de-corbin, or bec-de-faucon in French (depending on the shape of the back spike,) or fussstreithammer in German, or martello d'arme in Italian.